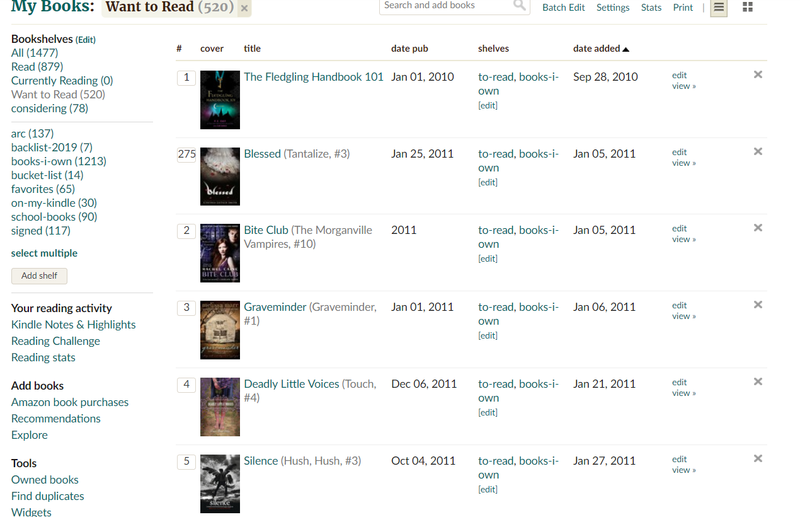 In January, I tackled my December 2010 book haul, completing 3 books. I was so excited to start Wolves, Boys and Other Things That Might Kill Me by Kristen Chandler, expecting a cute romance. 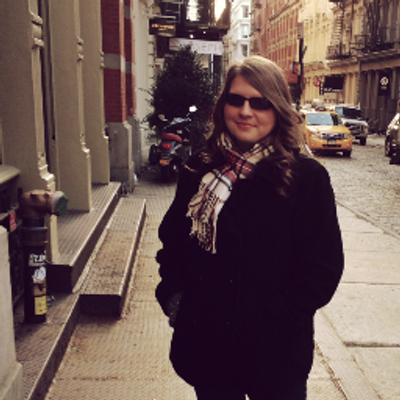 However, there was barely any romance and it just wasn’t what I wanted at all. Hex Hall by Rachel Hawkins was my first ever foray into Hawkins’ writing and as much as I wasn’t crazy about the book, I’m still going to read more from Hawkins in the future. Inception: The Shooting Script was such an easy and fast read; the book includes the script with a few little extras as well. If you’re a fan of the movie, definitely check it out! Deadly Little Voices by Laurie Faria Stolarz: Laurie Faria Stolarz is my number favorite author. I have only 3 unread books of hers and then I have to wait for her next work. I have no doubt, however, that I will love this one! 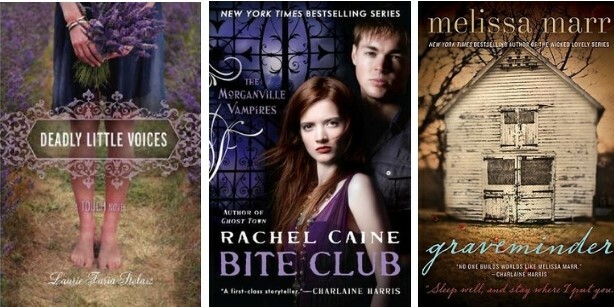 Bite Club by Rachel Caine: I’m working my way through the longest book series ever: the Morganville Vampire series. It’s been a great time to see what all my favorite characters have been up to. Graveminder by Melissa Marr: Zombies aren’t really my thing. Actually, they’ve never really been my thing so I can’t tell you why I picked up this book. Except Melissa Marr is the author of the Wicked Lovely series which I adored back in the day. I’m hesitant to see how she does with this adult fiction about zombies. Silence by Becca Fitzpatrick: I’ve heard a lot of people say this book, the third book, is the worst of all in the series. The second one was good so I’m hoping for a similar outcome here. We shall see. 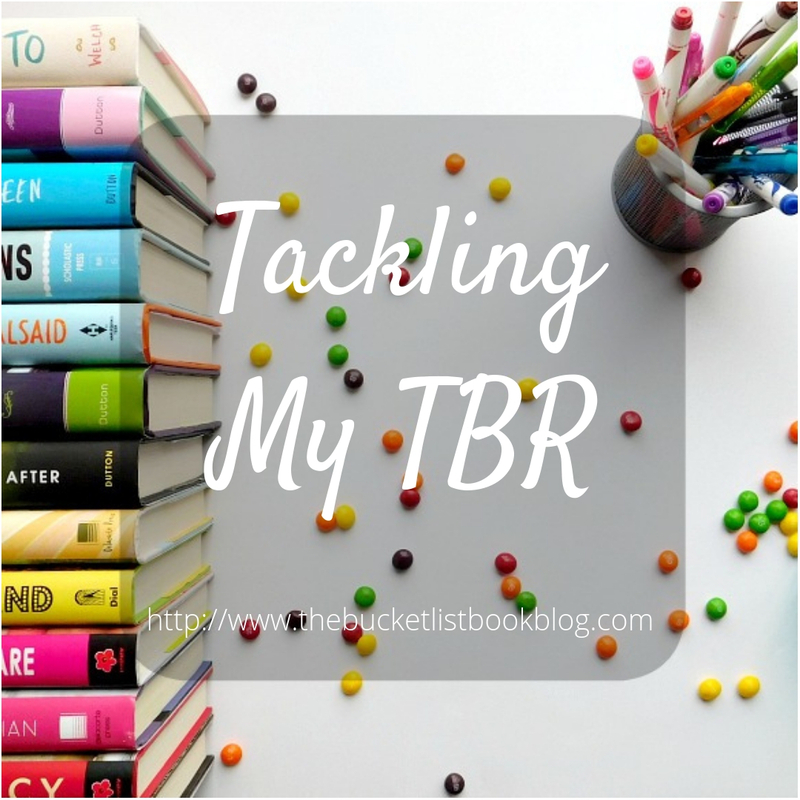 Blessed by Cynthia Leitich Smith: In my bookish goals, I hope to finish 12 series this year and I specifically listed this one. I only have two more books to go and then I finish the series. I can’t say that I remember the last book very clearly but I’m hoping it will all come back to me sooner than later.